Whether your generator is powered by gas or diesel, Bell Performance generator treatments are your best way to keep your generator in peak working condition, ready for anything. Choosing one of Bell's generator treatment products (like Ethanol Defense, Mix-I-Go or Dee-Zol) makes your generator easier to start when you need it, and keeps it running more efficiently when you use it. Treating diesel generators with Dee-Zol and Dee-Zol Plus gives multi-function diesel protection and fuel enhancement that users have been enjoying since 1954, in both summer and winter. And Cold Flow Improver ensures diesel generator fuel won't gel in the winter. Injector Cleaner ensures your generator runs like a charm by providing one-tank injector cleanup. 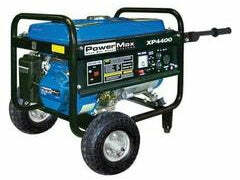 Diesel generators running less efficiently or with difficulty starting will benefit from Super-Tane. DFS Plus is recommended to provide commercial-grade water control in generator fuel. Bellicide﻿ knocks out microbes in fuel that can threaten the health of your generator. And the X-tra Lube line of lubricants and greases ensure maximum life and best-practice lubrication for your expensive machinery. Trust commercial-grade treatments from Bell Performance to keep your generators ready to go when you need them most.